The brainchild of award-winning US firm Kevin Roche, John Oinkeloo & Associates, Menara Maxis combines telecommunications and IT infrastructure with a modern building design that is fit for businesses that want to catapult themselves into an excellent strategic position right at the heart of Kuala Lumpur’s business district. 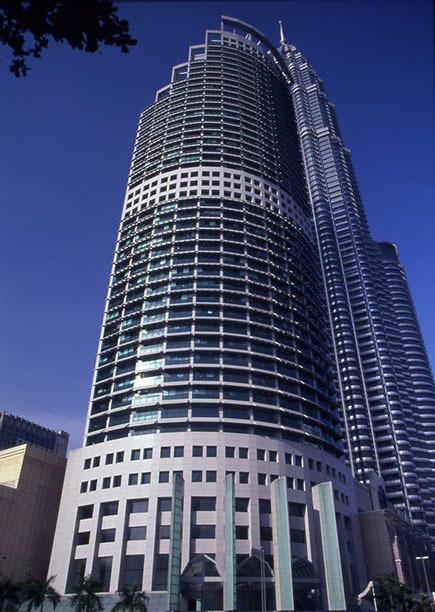 CEO SUITE occupies the 26th and 36th floor of Menara Maxis, providing twice its services. CEO SUITE in Kuala Lumpur, Malaysia offers quality serviced offices for short or long-term rentals for entrepreneurs, SMEs, and even multinational corporations. It also provides different packages for virtual offices (use of business address and phone and mail handling services), professional business solutions, co-working spaces, conference facilities and meeting rooms. CEO SUITE is available in several locations in Kuala Lumpur: Axiata Tower, Q Sentral, Menara Maxis 26th Floor, and Menara Maxis 36th Floor. All the workplace solutions that you need. All in one place. Get more than just instant serviced office in Malaysia. We put emphasis on service. Discover virtually endless possibilities of making a virtual office space work for you. Our conference rooms can be adapted to fit your presentation needs. Not the other way around.